The victim, 89-year-old Maria Deposada, was riding as a passenger in her daughter's car when the vehicle was broadsided. MIAMI, FLORIDA, USA, September 27, 2018 /EINPresswire.com/ — John H. (Jack) Hickey, founder of Hickey Law Firm of Miami, Florida, received a $4.5 million jury verdict on behalf of the victim of what eventually turned out to be a fatal car crash. The victim, 89-year-old Maria Deposada, was riding as a passenger in her daughter's car when the vehicle was broadsided. Deposada filed a personal injury lawsuit against Pernod Ricard, the multinational liquor company. An intern for Pernod Ricard was driving the car that crashed into Deposada's. Pernod admitted liability for the crash, but claimed that it was not responsible for Deposada's post-crash symptoms. Hickey showcased a clear difference from Deposada before the crash, where she was known as the "Energizer Bunny" due to her love of life and travel, to after the crash, where she rarely left the house. "She went from praying every single day of her life before she went to bed to not praying at all," Hickey said. "She went from listening to the radio all day every day to not wanting to hear any of it. She went from happy to sad." The jury awarded Deposada's estate $4.5 million. Miami attorney Jack Hickey was recognized by the Best Lawyers in America (2019) in two practice areas: Personal Injury – Plaintiffs, and Admiralty and Maritime. These recognitions are based entirely on peer review. On August 14th, Hickey participated in a Facebook Live segment hosted by AskTheLawyers.com™. In the video segment, which has now been viewed a few thousand times, he gave valuable instructions for what to do after a car accident. 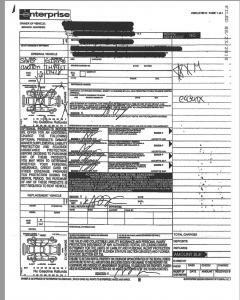 He recommended documenting the crash as much as possible (including photos of the license plates), calling the police, reporting the incident to your insurance company, and calling a board certified trial lawyer with experience handling cases like this. Jack Hickey has been practicing law for nearly 40 years. 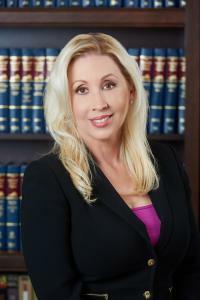 As a personal injury attorney, he has developed a reputation as one of the nation's premiere attorneys for helping those injured on land or at sea. If you're a Miami resident who's been seriously injured in a car accident, boat accident or due to medical malpractice, contact Jack Hickey today at (888) 393-1388. 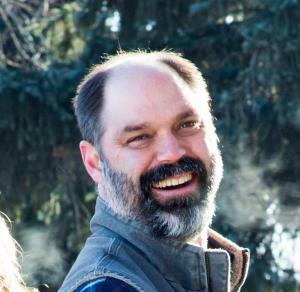 Max Engelhardt, a Teller County native, entrepreneur, and founding member of Carie is helping to bring the future of healthcare to Teller County residents. WOODLAND PARK, COLORADO, UNITED STATES, September 27, 2018 /EINPresswire.com/ — Carie is launching its new platform and mobile app in October. Carie is a membership-based telemedicine service that allows patients access to board-certified doctors 24 hours a day, seven days a week, for $29 per month as an individual, or $49 per month as a family of up to 5 people. According to a report conducted by the Colorado School of Public Health, Teller County has a low doctor to patient ratio, the residents are generally older, and access to transportation was cited as a common concern. 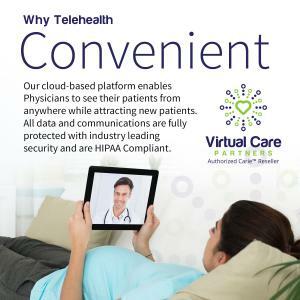 Telemedicine services enable patients and doctors to connect remotely for many conditions including colds, cases of flu, and infections while drastically reducing the amount of time it takes to see the doctor. Telemedicine services can save patients time, money, and travel while increasing revenues for physicians. Carie is designed to connect members to their local physicians first, but if a patient can’t reach their provider, they can connect to one of the thousands of doctors or specialists from around the country using either a locator service or using the next available doctor feature. If a patient doesn’t have a local doctor, they can also choose from any available doctor. Telemedicine services, starting with simple phone calls and moving on to internet-based services, have been on the market for decades and are proven to allow doctors to see, diagnose, and treat their patients remotely with lower wait times. Major telemedicine competitors like Teledoc, Inc. have been around for years, but Carie is different because the platform is 100% free to the physicians, and patients have a membership model rather than a costly pay-per-visit model. There are no deductibles or copays with Carie. Other telemedicine services on the market generally use a pay-per-visit model that can cost patients $50 or more per visit. Physicians can sign up for free to become a provider and are expected to earn $50 per patient visit after an initial $199 fee required to verify their credentials. Regulations may vary by state, but the initial certification is designed to ensure that every patient sees a quality physician. Due to the platform’s low cost and ease of use, Carie will allow doctors to see more patients and help them keep their practices independent. Doctors can also benefit from membership fees if they sign their own patients on for the service. If employers want to offer the service to their employees, they can also benefit from the membership fees while providing access to basic medical care for their employees. The new platform and mobile app are launching in October, but doctors, patients, and investors can sign up online and begin using the current cloud-based service. Due to the various regulations across the states, marketing and sign-up efforts are generally handled on the local level by business partners. Carie can serve as a supplement to primary health insurance because it will lower the cost of routine visits, or it can provide affordable access to doctors if the patient does not have health insurance. However, if a patient needs tests or bloodwork done, they will need to go to a doctor’s office and use their insurance or pay the fees out-of-pocket. “It’s going to be the next big thing in healthcare, everybody’s going toward this sort of service, and we have a lot of things in place where we’re going to be a household name,” Engelhardt said of the projected growth rate of telemedicine services. The Miami based company, with more than 400 working at headquarters, is a rapidly growing telemedicine platform and welcomes companies and investors to join the movement. Max Engelhardt, a Teller County native, entrepreneur, and founding member of Carie is helping to bring the future of healthcare to Teller County residents with Carie Virtual Doctors Services. More information: Contact Max Engelhardt at email: healthmaxcolorado@gmail.com; phone at: 618.367.2756 (cell). 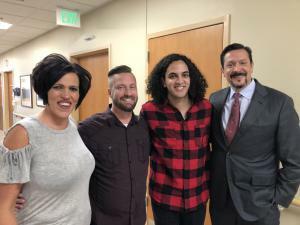 Monica Anderson, her husband, Jason, Kingslee Teo, and Manuel Rodriguez, MD, reunite after life-saving transplant surgery at Intermountain Medical Center. SALT LAKE CITY, UT, USA , September 27, 2018 /EINPresswire.com/ — The lives of two healthcare caregivers changed in two different, dramatic ways, thanks to a generous organ donation. Kingslee Teo is a respiratory equipment assistant with Intermountain Healthcare Homecare in Ogden, Utah. Earlier this year he overheard his co-worker, Monica Anderson, mention that her husband, Jason, is living with end-stage kidney disease and on a kidney transplant waiting list that could take years. Teo, who recently got married, went home and considered whether he could be the donor. A few days later he approached Monica and suggested he be tested. Monica and Jason were amazed at his offer and generosity, and their amazement turned to joy when after months of testing Teo was found to be a perfect match. Sadly, 20 people die every day in America while waiting for a life-saving kidney transplant. According to the National Kidney Foundation, more than 3,500 people are removed from the kidney transplant waiting list each year because they become too sick to undergo a transplant surgery. "Patients die on dialysis every day," said Manuel Rodriguez, MD, a surgeon with the Intermountain Medical Center Transplant Program in Salt Lake City, where the transplant surgery was performed. "Organ donation is where we see the best in humanity. It's the ultimate gift." Jason had spent more than four years on the transplant waiting list while living with end-stage kidney failure. He continued to work a demanding and busy full-time job as a bank manager, then coming home and spending six hours a night doing the dialysis process. The family keeps a machine in their home office for at-home dialysis. A dextrose solution goes into Jason’s body, helping to clean it and do the work of his kidneys. The transplant allows Jason to live a normal life again. As he recovers, he’ll be able to do things like travel on an airplane without the hassle of carrying medical equipment, not to mention have improved overall health and energy. "It's been hard," Jason said. "I'm full of life and vivacious. I can't wait to get back to doing the things I love. Already I feel so much better." For Teo, the donor, he says that when the opportunity presented itself, he decided to take the chance to better someone else’s life. “I hope that people will hear this story and have the urge to save someone’s life, too. I hope that kidney donations become more common as a result and that people see how much this can change a life,” he said. Teo is taking off six weeks of work, as donating a kidney is major surgery. “I'm hoping for a speedy recovery for both myself and Jason,” he says. Four days after the procedure, he was already feeling better. The transplant took place at Intermountain Medical Center on Wednesday, Sept. 5, with Jason and Teo in adjacent operating rooms. Currently, more than 114,250 people in the United States are on the national transplant waiting list. In Utah, 772 people are currently on the organ transplant list: 519 kidneys, 154 livers, four pancreas, 16 kidney/pancreas, 72 heart and seven lungs. PITTSBURGH , PA, USA, September 26, 2018 /EINPresswire.com/ — The Hospice and Palliative Nurses Association is proud to present the 12th Annual Clinical Practice Forum, opening Thursday, September 27, and continuing into Saturday, September 29, 2018, at the Marriott City Center in Pittsburgh, PA. This year’s topic, “Continuing the Path: Advancing Expert Care in Hospice and Palliative Nursing” offers a variety of sessions created by nurses for nurses, on subjects like hospice triage, telemedicine, pain management in the opioid crisis, comprehensive nursing assessments, care delivery regulations, and clinician-surrogate disagreements for care. Our opening plenary speaker Nadine Barrett, PhD, MA, MS, will speak about health disparities, diversity, and inclusion, and the upcoming National Coalition for Hospice and Palliative Care Clinical Practice Guidelines, due out later this fall, will be reviewed. This year, the Clinical Practice Forum offers five preconference sessions, a reception on Thursday evening, round table discussions on Friday afternoon, poster presentation displays on Friday evening, micro learning sessions with leaders in the field on Saturday morning, exhibitors both days, and a special reception on Friday evening presented by HPNA and Delta Care RX. Thank you goes out to our platinum sponsor Delta Care RX, a nationwide hospice pharmacy provider, supporting both the Friday event reception and the poster presentations, as well as presenting during the forum. Other sponsors include the Hospice and Palliative Credentialing Center and the Hospice and Palliative Nurses Foundation as gold sponsors, Mary Ann Liebert Inc. as our silver sponsor, HospiCorp as our bronze sponsor, and Duquesne University as our nursing school collaboration sponsor. Online registration at advancingexpertcare.org/clinical-practice-forum will close a few days before the event starts, but walk-in registration will be available Thursday morning at 7:30 a.m. for preconferences and Friday morning before 8:00 a.m. for the conference. Contact us directly for questions or more information. The Hospice and Palliative Nurses Association was established in 1986 and is the national professional organization that represents the specialty of palliative nursing, which includes hospice and palliative nurses, and has nearly 11,000 members and 50 chapters nationally. The association works together with the Hospice and Palliative Credentialing Center and the Hospice and Palliative Nurses Foundation to promote our mission, to advance expert care in serious illness, and our vision, to transform the care and culture of serious illness. Visit advancingexpertcare.org to learn more. INDORE, INDIA, September 26, 2018 /EINPresswire.com/ — According to the OMR analysis, the global electronic health records (EHR) market is expected to grow at a significant rate during 2018-2023. The global electronic health records market has witnessed a significant growth due digitization in healthcare system. In addition, introduction of cloud computing and IoT will further contribute for the market growth. 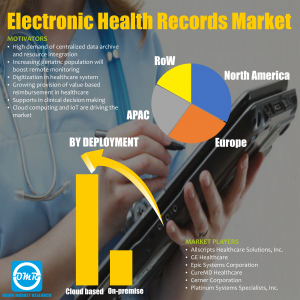 The global electronic health records market is segmented on the basis of installation, end-user, business size, deployment and geography. The report provides detailed and insightful chapters on market overview, key findings, strategic recommendations, market estimations, market determinants, key company analysis, market insights, company profiling, market segmentation, geographical analysis and analyst insights. There is substantial growth in demand for healthcare services such as electronic health records due to aging populations and the increasing prevalence of chronic diseases. Concurrently, there are cost pressures originated due to rising need for higher quality work with fewer available resources. Expectations for better outcomes, higher quality treatment and more value from the healthcare services provided raise the need for point-of-care access to medical data and the parallel evolution and adoption of mobile devices, for both medical staff and for patients. This in turn is increasing the need for IT systems to be adapted. Additionally, the significant increase in digitization of medical records and emergence of digital outputs from scanning and monitoring devices provide more voluminous and varied digital data to maximize the potential benefit of cloud solutions. The global electronic health records market on the basis of geography is divided into – North America, APAC, Europe, and Rest of the world. North America is expected to have the largest share. Europe is expected to witness lucrative growth. In addition, government regulations in emerging economies to encourage healthcare providers for the adoption of EHR systems contribute in the growth of Asia-Pacific market. 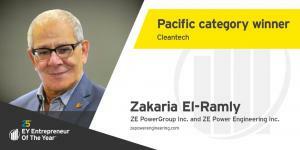 The market in Asia-Pacific is expected to grow with the highest CAGR during the forecast period of 2018-2023. 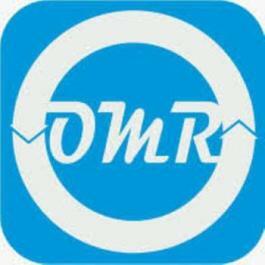 INDORE, INDIA, September 26, 2018 /EINPresswire.com/ — According to OMR analysis the global cloud identity access management market is anticipated to grow with a CAGR of 13% during 2017-2022. 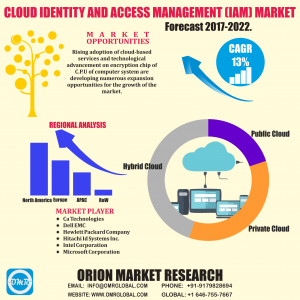 The global cloud identity access management market is segmented on the basis of components, deployment models and verticals. The cloud identity access management software can be deployed on public private, and hybrid cloud. Cloud identity access management is widely used in various industries such as IT and telecommunication, healthcare, government and utilities, energy, retail, manufacturing and education. The report provides detailed & insightful chapters which include market overview, key findings, strategic recommendations, market determinants, key company analysis, market insights, company profiling, market segmentation, geographical analysis, analyst insights and predictive analysis of the market. Bring your own devices is a policy that allows employees to bring their own devices such as smartphones, tablets and laptops to the enterprise premises to access the company’s application and information. Range of businesses from small to large scale enterprises, are contributing toward bring your own device industry. Employees has shown high interest towards using a single device for both professional and personal purposes. However, to suppress the security and safety issues associated with the BOYD, organization required an effective access management system to eliminate the risk of third-party access to sensitive information. This give rise to the cloud identity and access management technology. The market for BOYD is expected to grow significantly which in turn drives the growth of cloud identity access management market. The highly disruptive tech start-up, Yotta Laboratories, has launched a sophisticated investment bond. The bond seeks to raise capital from private, sophisticated investors in order to complete the R&D on a groundbreaking project in the field of blockchain and cloud storage. With over five years of research and over 150 specific use cases in the field of blockchain, Smart Contracts, Machine & Deep Learning, and Artificial Intelligence, Yotta’s IP, alone has been valued at £47.5 million. The bond will allow important funds to be channelled into creating a prototype of what will be the future of data cloud storage. Yotta intends to change technology forever and create a safer and better digital future for everyone. Yotta believes an irrefutable digital truth can transform not only technology but also society.